Instantly add ambience, energy, and culture to your next event. Cost effective solutions for temporary décor — art streams based on seasons, holidays and themes, the options are endless! Bring your company event to the digital creative age with Loupe! Sync your meeting and gathering initiatives with artistic imagery that speaks to your brand identity, curated to enable and enhance a productive, focused, and engaged experience. Our curation team will help curate your art identity - blending style, mood, tempo, and color elements to produce in-brand excitement on available venue screens. Loupe bridges the gap between a digital and physical representation of art. Stream and display your entire collection digitally to compliment the physical artwork on exhibition with our fluid, immersive technology! Our built-in “Stream by Artist” feature allows any Loupe artist to easily showcase work on their own streaming TV channel. Take your guests, fans, and patrons on a visual journey throughout your event with carefully curated artwork selected to elevate and influence the interior atmosphere - endless experiential capabilities with streaming collections from surreal, to street art, and fashion photography. Pair visual art programming with music to complete a stylish atmospheric landscape! 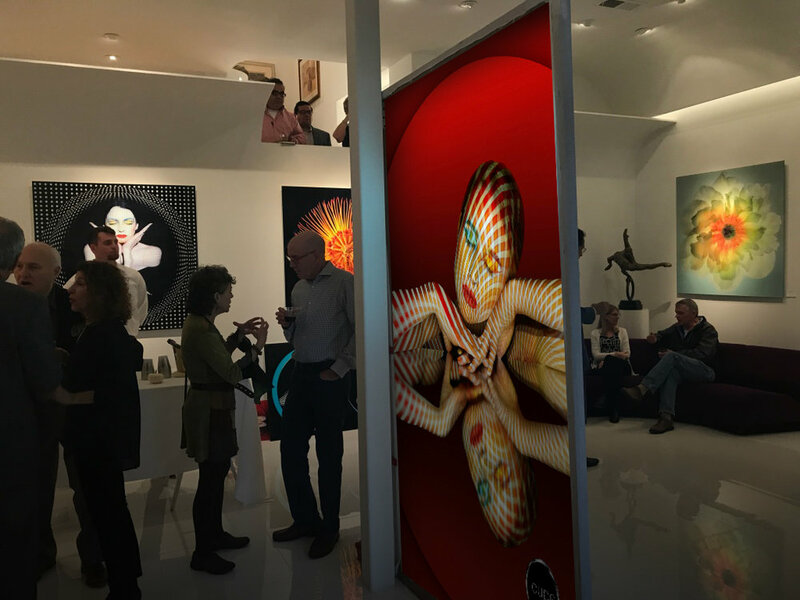 TRIPP XR events, a partnership between Loupe and interactive tech agency AXSGRNTD, allows guests to be fully immersed in visual artwork. Launched at Revery VR Bar (Atlanta), TRIPP XR showcases art through the lens of augmented & mixed reality installations, including interactive Google Tilt Brush VR works created by Loupe artists.